Apple's '12 Days of Christmas' promotion has started, and for all those plugging in their brand spanking new iPhones and iPods the first free piece of content is a music video from the Ting Tings. 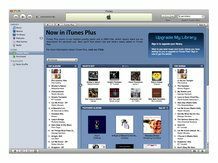 The promotion, which will run from Boxing Day until January 6 will see iTunes users offered a free piece of content on a daily basis. So if you're a fan of Ting Tings That's Not My Name then you can download the video for nowt. You have until midnight to grab the content so don't spare the horses, but if you don't manage it then don't despair, you will have 11 other chances to get your hands on free stuff. Go to http://www.apple.com/itunes and sign in with your account to download the track.